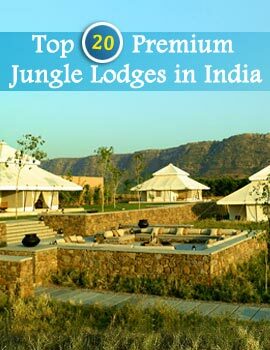 Madhya Pradesh with abundant wild life reserves attracts attention of many a nature lover. Famous for its diamond reserve, Panna National Park in Madhya Pradesh boasts its wide collection of wild cats, tigers and deers. 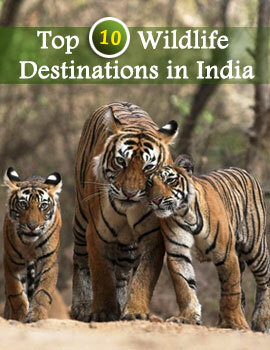 Sloth Bear, Indian Deer, Chital and Chowsinga are amongst the plethora of animals constituting the Wild Life in Panna. A timid deer being chased by a wild tiger is a common sight; just watch the bar headed goose, Paradise Flycatcher, Slaty and King Vulture from the Watch Tower. In the world of reptiles enjoy the presence of Big Pythons, amidst the wide array of floral species like Tectona grandis, Diospyros melanoxylon, Madhuca indica, Buchnania latifolia, Anogeissus latifolia, etc. Ken River Lodge located nearby offers a comfortable accommodation for the tourists. 10 tents are there to aid the enthusiastic nature lovers, whilst they are on their tour to this region. Ardent Ornithologists finds a suitable place to quench their thirsts at the Wild Life in Panna. Pack up for a comfortable encounter with the innate beings at Panna.